Exercise and traveling – it’s WOD Wednesday!!! For the next few weeks I’ll be traveling across the US and Canada. My goal is to drop into some boxes and see how they vary. In the meantime I’ll continue to send out new travel workouts every Wednesday. It’s important to not neglect yourself while you travel. I think it’s something that many of us, me included, fall into. You make excuses for yourself because you’re on vacation. You tell yourself that you can eat what you want and not workout. What if you continued to workout? What if you continued to self-care? Just because you’re on vacation doesn’t mean you can’t find a gym or a workout online to do in your hotel room. They’re out there, hell I post a workout you can do every week here! You can also do other activities to substitute for a workout. Go for a long hike. Explore a new city by bicycle or running. I love running in a new city in the mornings, before the commuters begin their treks into work. There is a something about being alone with a new city or town, seeing it in the morning light and figuring out what’s within walking distance of where you’re staying. Stay in a hotel with a pool and take advantage of some swimming. Just because you’re not going to lift weights doesn’t mean that you can’t be active. When you start your day off with exercise you will have more energy to enjoy your vacation. Your days will fill fuller and those “treat” meal will feel more rewarding. Maybe you just want to relax on your trip. Maybe you do just need a break from beating up your body. There is something to be said for taking a break and listening to your body. Make sure that your breaks are full of intention and not an excuses. That’s the trick. If you decide that your vacation is going to be a break from your diet, exercise, whatever, then make it a conscious decision and as soon as you return, get right back to your routine. It only takes one slip or one excuse to set you back days, weeks, or possibly months. Today’s workout is a variation of one I did last week with my co-coach as Rhino, Jathan. We waffled for a minute before I threw out Annie, a traditional CrossFit couplet. He said Annie with something else. So I said the following WOD and he altered it to heavy squat cleans instead of burpees. 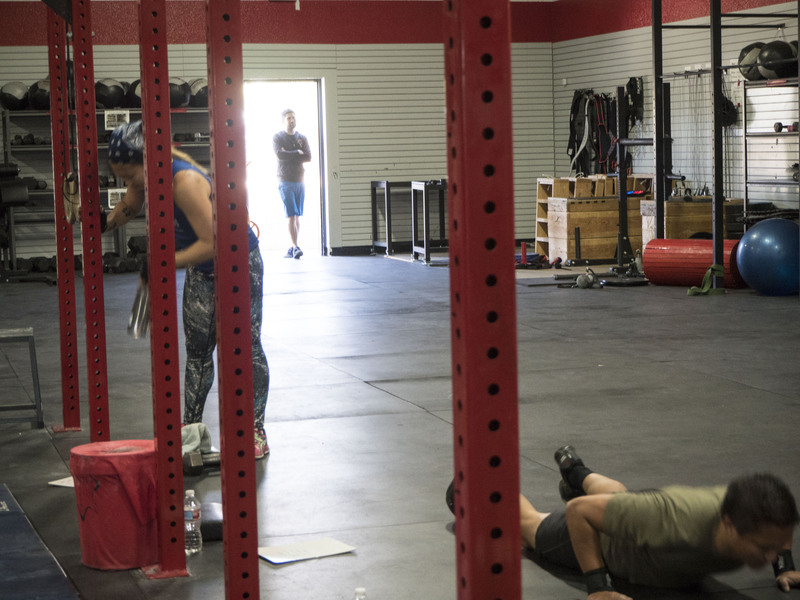 (The rep scheme for our heavy squat cleans was 5-4-3-2-1, instead of the 50-40-30-20-10). It was a fast and tough workout but I’ve done the version below and I love it just as much. Enjoy! Until next time.